Bardet–Biedl syndrome (BBS) is a rare, autosomal recessively inherited disease with prevalence rates of 1:140,000–1:160,000. Renal abnormality is one of the primary diagnostic criteria for BBS. However, there are only few cases of BBS with end-stage renal disease (ESRD) reported from India. Here, we report the first case of Robot- assisted kidney transplant (RAKT) surgery in BBS with ESRD. A 13-year-old girl, the only child of her parents, presented to our center for the evaluation and management of severe renal failure. She was born out of a nonconsanguineous marriage at full term (birth weight – 2.5 kg). She had an extra digit in the left lower limb. She had polyuria and polydypsia since birth but was not evaluated. Neonatal period was otherwise uneventful. Parents noticed stunting of growth (poor height gain) and delay in motor milestones and speech, and on evaluation, at 1 year of age, the patient was found to have renal failure at another center. Ultrasonogram of the abdomen showed bilateral contracted kidneys. She was started on conservative management for chronic kidney disease, but renal functions continued to deteriorate. The patient developed obesity by 5 years of age. She also developed diminished vision during night time by 7 years and was prescribed glasses. She needed some assistance from her mother for activities of daily life. She was studying in class 8, and her scholastic performance was poor. She presented to our hospital with severe renal failure. On examination, she was conscious, oriented, and had pallor. There was no edema. Blood pressure was 100/60 mmHg. She had truncal obesity, short stature – height: 140 cm (<5th centile), and weight of 65 kg (>99th centile) with body mass index of 33.5 kg/m2. Her waist–hip ratio was 1.1. She had a large nose, thin upper lip, everted lower lip, retrognathia, short neck [Figure 1], and postaxial polydactyly in the left lower limb (single extra digit in the left foot) [Figure 2]. There was no evidence of rickets. Her secondary sexual characters were delayed (Tanner Stage 3) and has not attained menarche. Visual acuity was 6/60 in both eyes. Fundoscopy showed features of retinitis pigmentosa. She had borderline IQ (75). Investigations showed normocytic normochromic anemia (Hb: 9 gm/dl) and severe renal failure (creatinine: 11.5 mg/dl). Serum phosphorus was 6 mg/dl and calcium was 8.5 mg/dl. Blood sugars, thyroid function test, and urine examination were normal. Ultrasonogram of the abdomen showed bilateral small contracted kidneys and a clear cyst in the pouch of Douglas, posterior to the uterus. Magnetic resonance imaging (MRI) of the abdomen showed bilateral small kidneys with mild hydronephrosis, multiple renal cysts, and 8 cm × 7 cm cystic lesion in the right adnexa. MRI also showed a septate uterus and cervix. Micturating cystourethrogram was normal, and there was no vesicoureteric reflux. This patient had obesity, borderline mental retardation, delayed milestones, retinitis pigmentosa, nystagmus, polydactyly, and genitourinary tract anomalies (septate uterus and cervix) with renal failure, and a diagnosis of BBS was made. The diagnosis was confirmed with a genetic study for BBS which showed mutation in BBS1 gene (c.48-1G>T). Left radiocephalic arteriovenous fistula was created, and she was initiated on hemodialysis. The child was uncooperative for fistula cannulation causing venous bulge and hematoma on the fistula arm. Parents were counseled about the option of renal transplantation, and she underwent live related renal transplantation with mother as the donor. Robot-assisted renal transplantation was performed, as she had a higher risk of surgical site infection due to obesity. Excision of the ovarian mass was also done along with transplant surgery, and histopathology showed serous cystadenoma of the ovary. Intraoperative and postoperative periods were uneventful and wound healed well. She was discharged on 6th postoperative day with creatinine of 1.3 mg/dl. She is now on triple immunosuppression (tacrolimus, mycophenolate mofetil, and wysolone). She has normal graft function at 6 months after transplantation with serum creatinine of 1.1 mg/dl and blood pressure is 100/70 mmHg without any antihypertensive, and she has attained menarche. The BBS is a ciliopathy with autosomal recessive inheritance. The primary clinical features include rod-cone dystrophy (retinitis pigmentosa), postaxial polydactyly, central obesity, cognitive impairment, male hypogonadism, complex female genitourinary malformations, and renal dysfunction. The secondary features include speech disorders or delays, eye abnormalities such as strabismus, cataract, and astigmatism, brachydactyly or syndactyly, developmental delays, ataxia, diabetes mellitus, craniofacial dysmorphism, nephrogenic diabetes insipidus, hepatic fibrosis, and congenital heart disease. Beales et al. have suggested that the presence of four primary or three primary plus two secondary features is diagnostic. Our case had all five primary features and three secondary features. Although she had all phenotypic features of BBS, this diagnosis was never considered earlier till she presented to our center, likely to be due to the rarity of the disease. No other family members had BBS phenotype features. Mutations in at least 18 genes cause BBS dysfunction, of which BBS1 is most common. BBS proteins are involved in the biogenesis and maintenance of the primary cilia complex and signaling pathways. BBS gene mutation leads to a disturbance in several signaling routes and hence multisystem involvement. This patient had mutation in BBS1 gene on genetic testing. Renal failure is the most common cause of death in BBS. Structural and functional renal abnormalities are very common in BBS, and renal insufficiency is noted in 5%–25%, with progression to ESRD in 4%–10%. Beales et al. reported a series of 109 BBS patients in which 57 patients were subjected to radiologic investigation of the urinary tract, and half of them were found to have renal abnormality such as cysts, dysplasia, unilateral agenesis, vesicoureteric reflux, and ectopic kidney. Six patients (four of them children) had chronic renal failure and four (two of them children) were transplanted. Our patient had morphological abnormalities such as renal cysts and mild hydronephrosis with early onset of renal impairment and ESRD by 8 years of age. Forsythe et al. studied risk factors for early renal failure in BBS and found that patients with truncating mutations in BBS10, hypertension, and abnormal renal ultrasound scans are at significantly increased risk of CKD3b-5. This case had morphological renal abnormalities which are recognized risk factors for early renal failure. The earliest age of developing ESRD reported in the literature is 4 years. Only few cases of BBS have been reported from India, of which only three cases had documented ESRD requiring renal replacement therapy. Rathi et al. 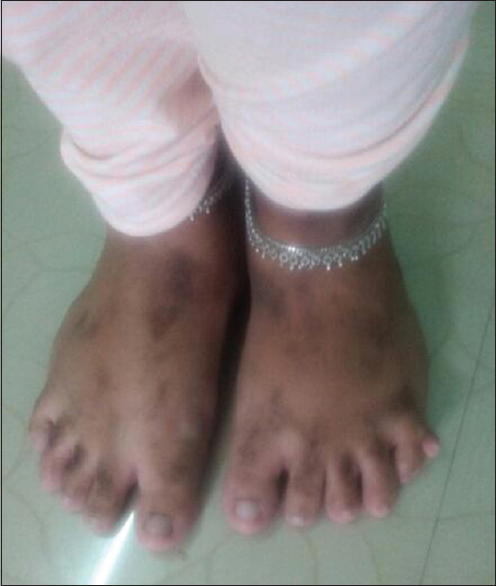 reported the first case of BBS with ESRD in India. Hooda et al. have reported the first case of BBS who underwent renal transplant in India (open surgery) at the age of 12 years with good graft and survival outcome. In data from the Clinical Registry Investigating BBS, renal transplantation was performed in 18 BBS individuals between 1982 and 2015 with overall graft survival of 81.6% at 1-year posttransplantation. This is the first reported case of RAKT in the literature in a BBS patient. Minimally invasive techniques like RAKT have shown to have many perioperative and postoperative benefits such as shorter hospital stay, less blood loss, minimal postoperative pain, fewer wound infections, and better cosmetic results in obese patients. Hence, RAKT in BBS is a good surgical option as it reduces the risk of wound infection and delayed wound healing in these obese patients. The atypical feature in this patient was the onset of renal failure as early as in infancy. She also had complex genital anomalies in the form of septate uterus and cervix, which has not been reported yet in the literature. BBS is a rare cause of severe renal failure in children. 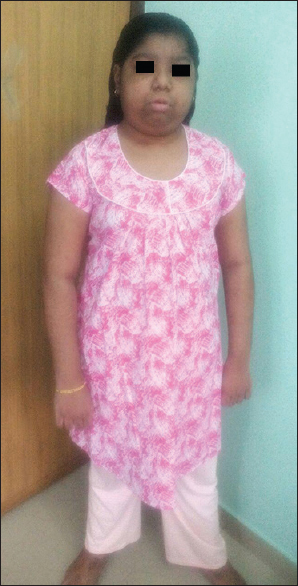 This is the first reported case of BBS who underwent Robot-assisted renal transplantation surgery. The diagnosis of BBS is made from the typical phenotypical features. The importance of diagnosis of BBS before transplant is that it may coexist with complex genitourinary tract anomalies that may be missed if not specifically looked into, especially in females. These structural genitourinary tract anomalies along with obesity can pose difficulty during transplant surgery. RAKT is an excellent choice in these patients as they are obese and have a higher chance of delayed wound healing. Farag TI, Teebi AS. High incidence of Bardet Biedl syndrome among the bedouin. Clin Genet 1989;36:463-4. Beales PL, Elcioglu N, Woolf AS, Parker D, Flinter FA. New criteria for improved diagnosis of Bardet-Biedl syndrome: Results of a population survey. J Med Genet 1999;36:437-46. M'hamdi O, Ouertani I, Chaabouni-Bouhamed H. Update on the genetics of Bardet-Biedl syndrome. Mol Syndromol 2014;5:51-6. Forsythe E, Sparks K, Best S, Borrows S, Hoskins B, Sabir A, et al. Risk factors for severe renal disease in Bardet-Biedl syndrome. J Am Soc Nephrol 2017;28:963-70. Mihai CM, Marshall JD, Stoicescu RM. Bardet-biedl syndrome with end-stage kidney disease in a four-year-old Romanian boy: A case report. J Med Case Rep 2011;5:378. Rathi M, Ganguli A, Singh SK, Kohli HS, Gupta KL, Sakhuja V, et al. Bardet-Biedl syndrome with end-stage kidney disease: A case report and review of literature. Indian J Nephrol 2007;17:10-3. Hooda AK, Karan SC, Bishnoi JS, Nandwani A, Sinha T. Renal transplant in a child with Bardet-Biedl syndrome: A rare cause of end-stage renal disease. Indian J Nephrol 2009;19:112-4.